Yesterday on Facebook one of my friends asked for our favorite granola recipes. It ended up being quite an interesting feed of recipes and techniques. I loved hearing from all of these experienced ladies on what they think makes the best granola. 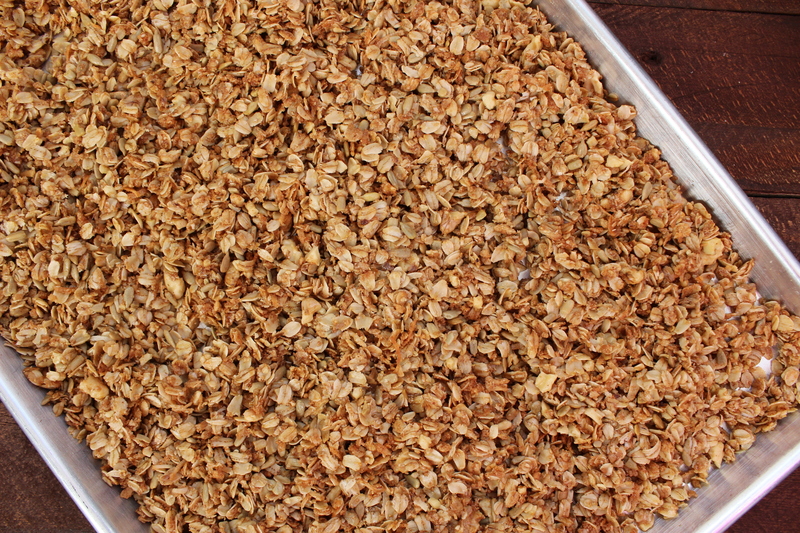 And of course all that talk about chewy, buttery, sweetened granola started me drooling! So I took my favorite recipe and started mixing…. adding and taking away…. and this is what I came up with! I didn’t have all the other ladies in my kitchen to critique it but I thought it was pretty delicious. And so did Declan. 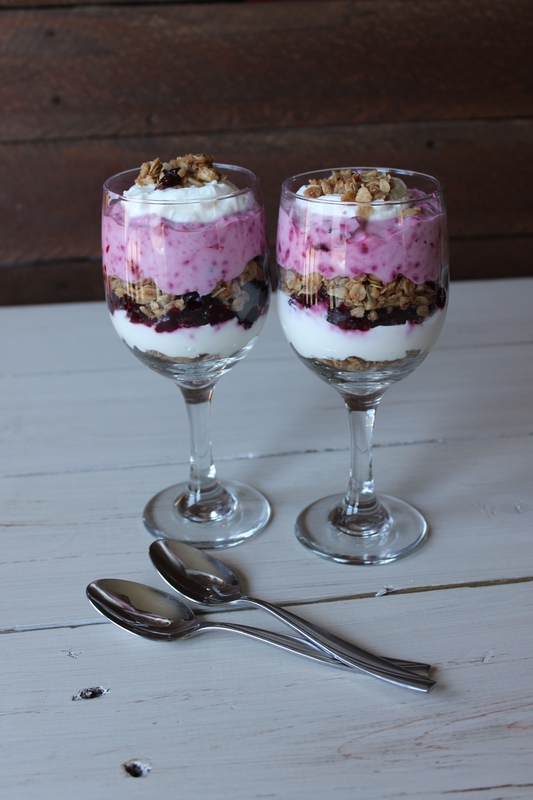 Served as a glorious parfait with greek yogurt and topped with a homemade three berry filling – doesn’t get much better than this! It reminds me so much of the parfaits that you would find at a classy coffee shop. 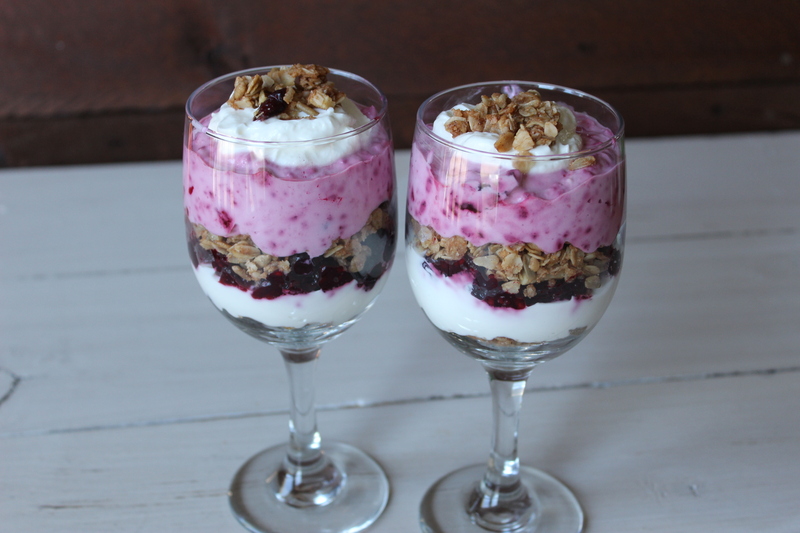 When I think of yogurt parfaits, my mind immediately flies to my good friend Melanie. We were on a team together in Bangladesh for 3 months and fast went from strangers to friends! I think I finally met someone who has an infatuation with peanut butter almost as much as I do. Our peanut butter supply was limited and therefore rationed… but somehow we managed to smuggle a slab in-between our pancakes and french toast. 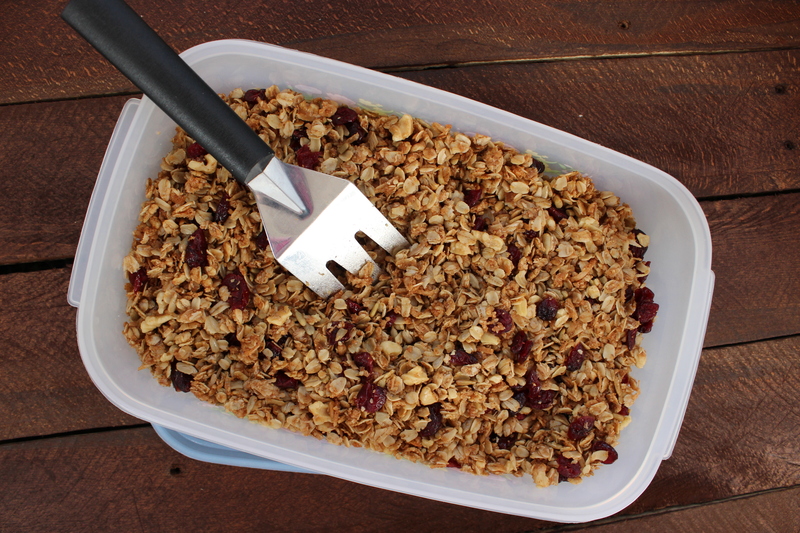 Melanie came up with the brilliant idea of making granola. Our hostess made the yogurt and with my hidden stash of peanut butter we were all set for some jolly parfaits! Peanut butter keeps me going. Its the one thing I will pack in excessive amounts for any future excursions. Stir in 1 cup dried cranberries. Stir in 1 cup dried cranberries. Store in airtight container. Delicious with either homemade or Greek yogurt and topped with your choice of fresh fruit or filling. In small sauce pan, mix and heat over medium heat until warm. 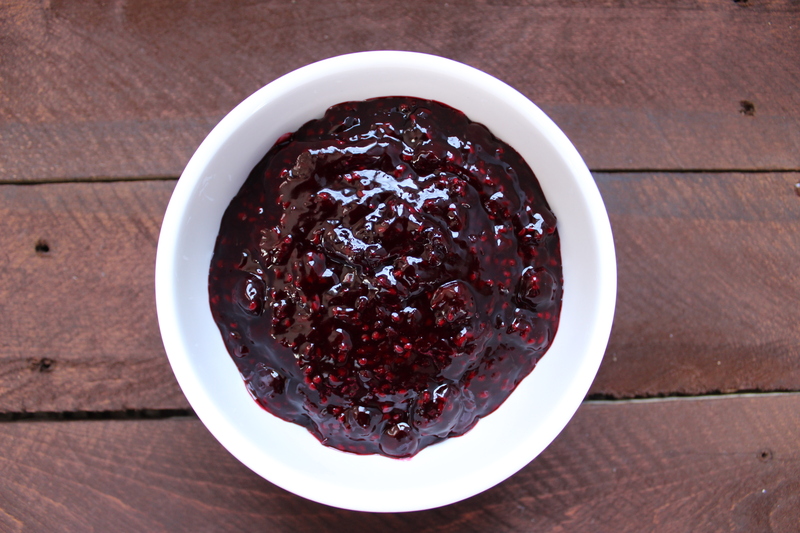 Stir sugar mixture into warm berries. Bring to boil and heat until thickened. Cool.